This Heuer 2000 quartz chronograph came in recently for a service, the watch ran with the chronograph running but spluttered to a halt with it disengaged. 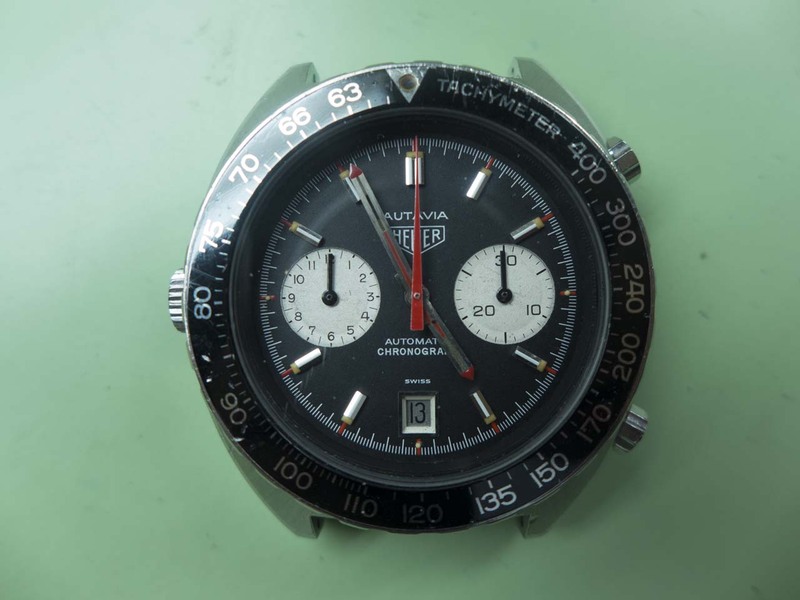 This particular Heuer is a modular chronograph meaning the movement powers a separate chronograph module fixed on where the dial would usually sit. 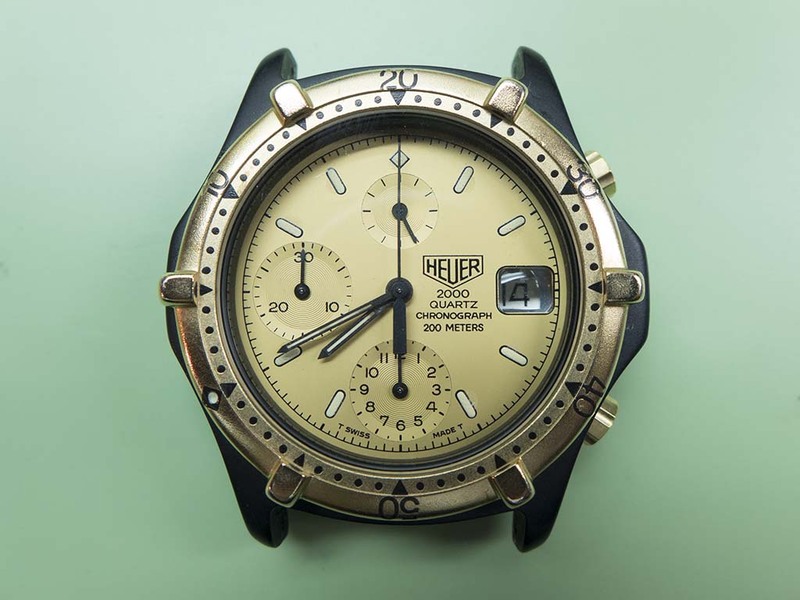 Modular chrono’s are usually easily identifiable by the crown being below the line of the pushers. This one is powered by a slightly modified ETA 555.282 quartz movement and the chronograph module is a Dubios-Depraz 2000, these find their way into quite a number of manufacturers chronograph models. 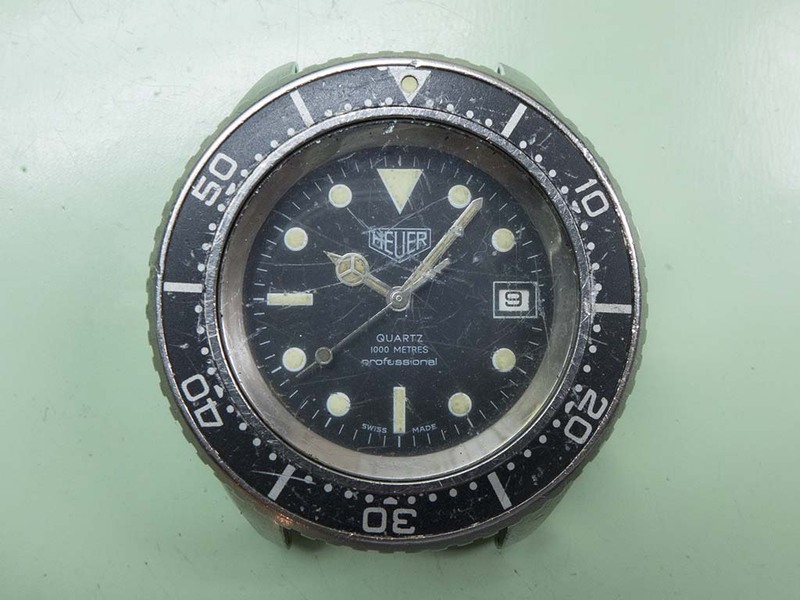 An interesting refurbishment that came in near the end of last year was this Heuer 980.023 quartz powered 1,000m divers watch. The owner remembers buying it sometime in the early eighties and did many dives with it, he also said it holds a special place in his life story and as such he would like it running again. 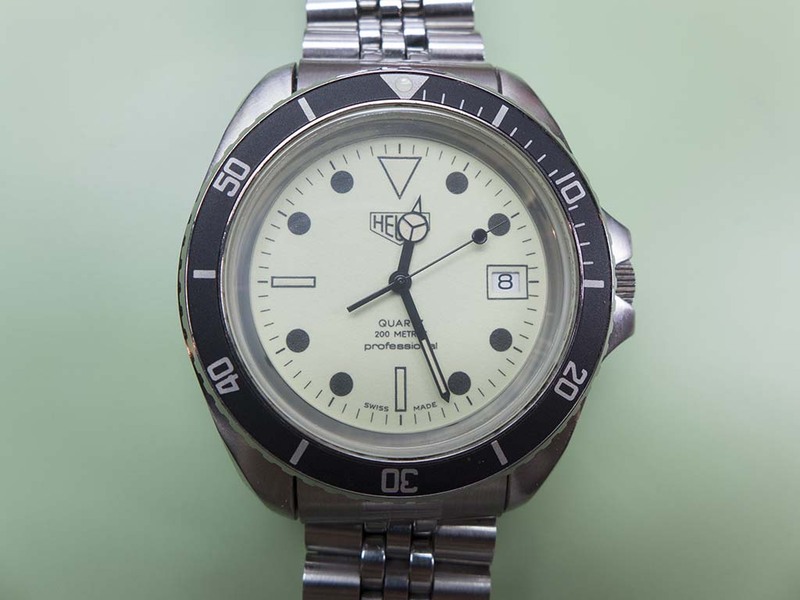 The watch has been used hard for its intended purpose and the owner didn’t want to take any of it’s history away by reluming or replacing the dial, he wanted it to be the watch he remembered wearing on his dives. Similarly we decided to replace the crystal but apart from a thorough clean of the case not to do anything further.